Lately I’ve been getting so many great comments and questions on my blog, and I really would love to answer them all personally but I’m having [email protected] woes. I know if I post a comment on a blog I usually forget to go back and check for a followup reply, so I appreciate when a blogger replies back to me via email directly. I’d LOVE to be able to answer your questions via email, but time and time again I hit “send” on a reply only to realize that I’ve just sent an email out into Neverneverland because the email address is “[email protected]”. And then I say, “Well, booger.” This has happened time and time again lately and I’m beginning to think it’s the default setting in Blogger or something. I’m sure that a lot of folks prefer being anonymous on the internet, and that is totally understandable. But I have to think that a lot of you just might not realize that you have your settings this way and simply need to change them in order to get more responses to your blog comments. It’s simple to do, and really helps me to interact with you guys better. 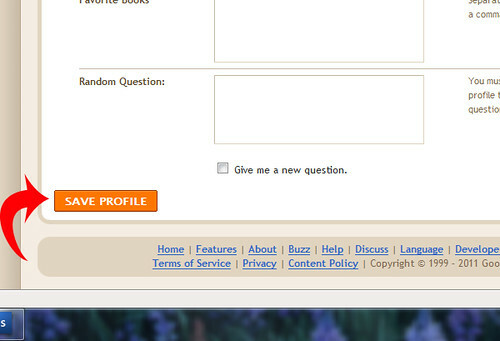 Here is how you change your no-reply commenter setting in the new blogger interface. Over on the left click Edit Profile, and make sure the box that says “Show My Email Address” is checked. Then simply scroll down to the very bottom of the page (it’s a long way… keep scrolling)and hit “Save Profile”. And that’s it. You’re no longer a noreply-commenter! Very simple, and you might just notice that you get more feedback from your blog comments now. Whew, thanks for letting me get that off my chest. Oh how I wish I could share this with the world. i was one of those 🙂 thanks, i think i did it! Thanks Beth for the reminder – it is kinda frustrating, isn’t it? @Heather- yeah it’s so frustrating I’m considering a switch over to wordpress so people have to enter their email addy to comment. Thank you! 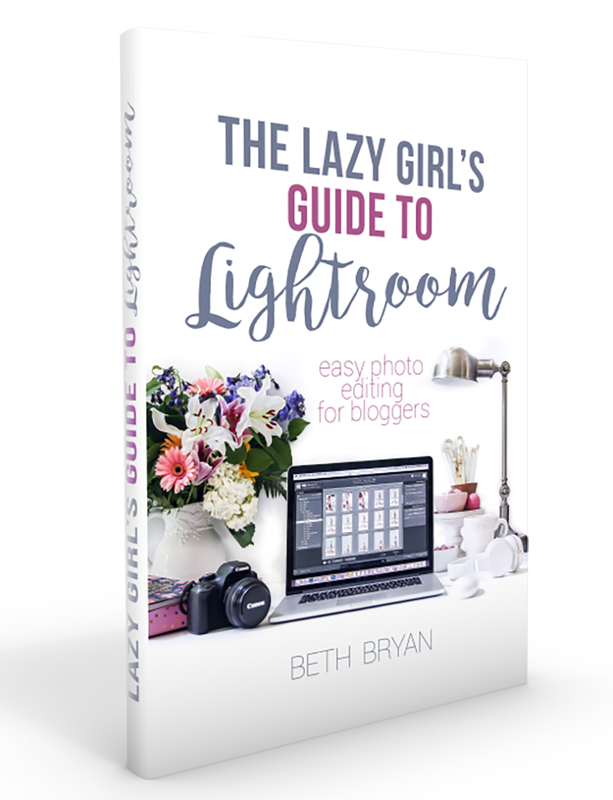 I had no idea about this until I read your comment on my blog! Of course I found you via Pinterest! Very cute blog! I am a new follower! Thank you! I don’t know why it hadn’t occurred to me that someone might wish to respond to my comments via email. 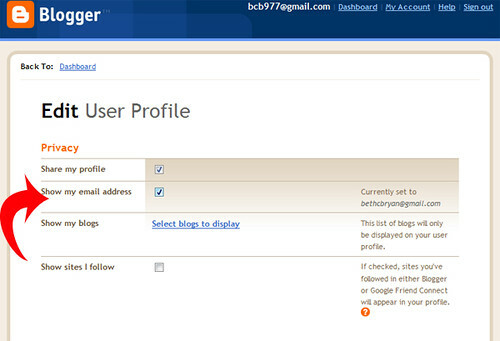 ok & if you are the blogger, how do you reply to a comment with an email using blogger? I’ve always wondered this- am I missing something? ?